If you’re in the process of searching for a psychologist, whether it be for the first time or because you need a change, it’s important to be sure that you feel comfortable. Finding the right fit may take some time, and you might end up seeing a few psychologists before you find the right one. A good way to narrow down your search is to have a list of questions that you can ask a potential therapist. 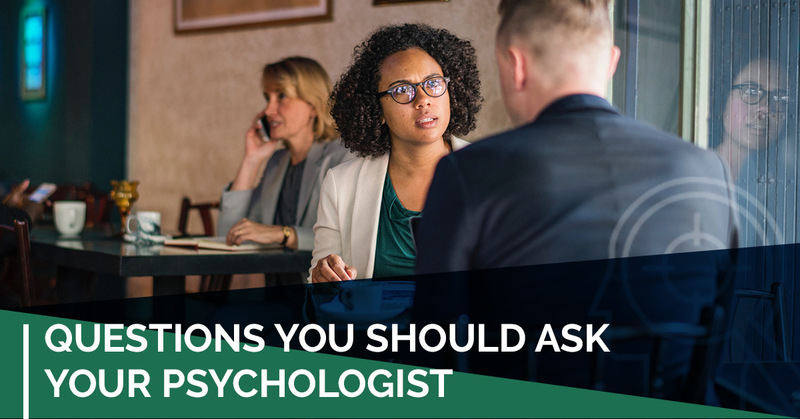 In today’s post, we will go over a few questions that you may want to have on hand when you go to see a new psychologist. At Dr. Eliana Cohen Psychology, we are proud to serve those in Toronto. Dr. Eliana Cohen offers services from couples counseling to mental health counseling and everything in between. If you’re looking for a psychologist you can trust to listen to your problems and help you find a solution, then you need Dr. Eliana Cohen. Contact us today to schedule an appointment. How will you treat my problem? The first thing you want to do when you meet with a new psychologist is explain your problem. If you’ve never been to a therapist before, you may have a hard time putting a name to what is troubling you, and that’s okay. The important thing is to explain why you are seeking help to the best of your ability. Once you’ve explained the reason you are there, ask the psychologist how he or she plans to treat it. If you visit a few different psychologists, you will probably find that they have different treatment methods. Some may choose to listen, while others may use hypnosis. The reason you ask this question is to learn how each psychologist is different and figure out which method sounds best for you. Some people may be less willing than others to open up and talk about their feelings, and before you go into a session with a potential new therapist, it’s a good idea to decide which type of person you will be. If you think that you will be less willing to talk, you may want a therapist that plans to be more in charge of the session. On the other hand, if you’re willing to talk through your feelings, you might be more interested in a psychologist who will let you take control of the session. Therapists are people just like everyone else, meaning that they can’t be perfect at everything. By asking what a potential therapist’s strengths and weaknesses are, you’ll have a better understanding of how they will help you best. If you come across a psychologist who says that one of their weaknesses is incompatible to what you are looking for in psychologist, you may consider looking elsewhere for the help you need. The length of a session is typically between 30 minutes and an hour depending on the therapist you see, and the amount of time may be a factor in your decision. For example, if you have a busy schedule but you still want to seek help, then a 30-minute session may be more appealing. However, if you plan on dedicating a lot of time to resolving your problems, you may feel that 30 minutes isn’t enough time, therefore you may want a longer session. It all depends on what you are looking for, and some psychologists might be willing to be more flexible. If you’re looking for help and you think that a psychologist is the right way to go, then Dr. Eliana Cohen can help. At Dr. Eliana Cohen Psychology, we offer services for couples counseling, for those with mental health issues, and more. Learn more about the counseling services we offer, and contact Dr. Eliana Cohen Psychology in Toronto at 416-800-1326 to schedule an appointment today.